Excellent material! More Matt Gary please! Thank you for such a detailed post! I stumbled onto your article and found that it really resonated with me – I have been stuck at a max rep of 6 for months. I took a leap of faith and ran the program as written, and performed my test yesterday. I was able to do 9 solid and almost got my 10th (I don’t count the last because I couldn’t quite get my chin above the bar). Like you mention in your article, I had to really resist starting at a different week and not tacking on additional reps because it felt like so little initially. I followed the plan to a tee and am so excited with the results. 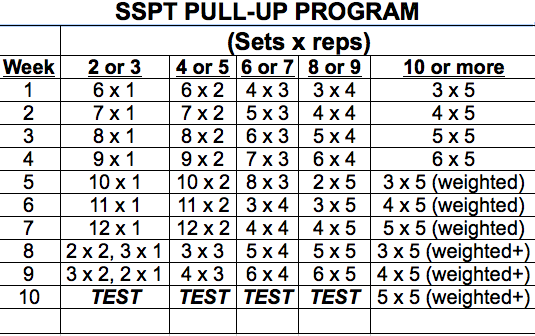 I will be re-running the program with my new numbers and hopefully will soon work my way up to weighted pull-ups. 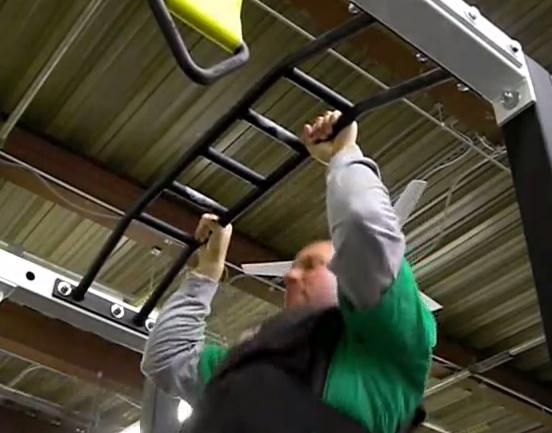 I couldn’t agree with you more about pullups. It’s so sad to see so many people in the gym on lat machines but so few doing pullups. If people would focus on the age old movements they would get much better results. Good stuff.